Beyond being a farm dog, Rat Terriers have proven themselves to be a versatile, multipurpose breed with a playful, happy-go-lucky attitude. It is an all-in-one breed, able to do virtually anything it is trained to do, being easily biddable and exceptionally intelligent. They excel in conformation, agility, obedience, rally obedience, terrier racing, earthdog, barn hunt, and lure coursing. 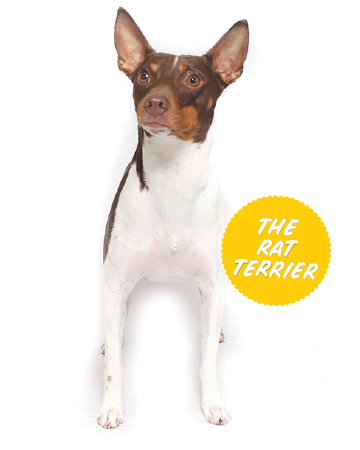 Rat Terriers are capable of hunting rodents and vermin above and below ground. They make fine therapy and service dogs. And they are loyal friends and companions, especially for families. The smallest of the Podengo family, this active rabbit hunter has a history that goes back to antiquity. He is still used today by avid huntsmen in his native Portugal. To manage the terrain in different parts of Portugal, the Portuguese Podengo Pequeno come in two coat varieties, smooth and wire. 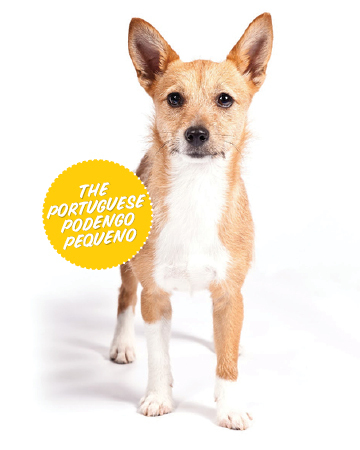 The word Pequeno means small or miniature; the Portuguese Podengo Pequeno is the smallest of three breed sizes: Grand, Medio, and Pequeno. The Pequeno is the only one of the three that should be longer than tall. With proper socialization this intelligent breed is a delightful companion and willing participant in agility, obedience, hunting, and lure coursing, as well as conformation. Developed in New Hampshire in the 1920s, the Chinook is a true American breed. In 2009, the Chinook was named New Hampshire’s State Dog. 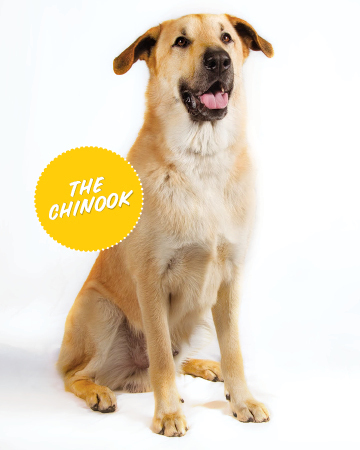 Chinooks are highly trainable, intelligent, and athletic working dogs that excel in obedience, agility, therapy work, tracking, and lure coursing, as well as dog-powered sports such as sledding, bikejoring, scootering, and carting. Above all, the Chinook is cherished as a loving companion, happily going wherever the family ventures. Chinooks require only an occasional bath, brushing, and toenail trimming, and are a healthy, robust breed with a life expectancy of 12 to 15 years. 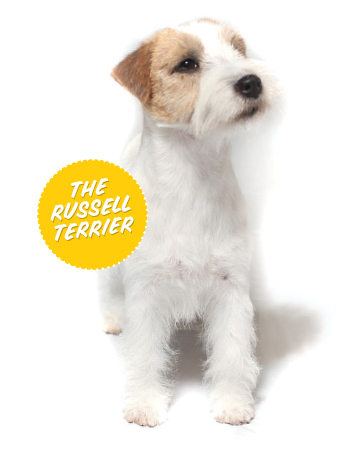 The Russell Terrier is considered the ultimate working earth terrier due to its small size (10” - 12” tall) and unique chest. The hallmark of the breed is its small, oval-shaped, spannable, compressible chest, which allows them to hunt efficiently below ground, pulling, pushing and bending through tight turns and narrow tunnels. Their origin dates back to the 1800s in England where they were utilized for fox hunting and carried horseback in terrier bags. As pack hunters, they are non-confrontational and not a sparring breed. They are predominantly white with spots and come in three coats—smooth, broken, and rough. They are athletic, intelligent, and fiercely loyal. The energetic Treeing Walker Coonhound is perfectly suited to the task for which it was bred, the tracking and treeing of wild raccoons. Developed from the Walker Foxhound, the Virginia Hounds, and the earliest English Foxhounds brought to America, the Treeing Walker is a fast, alert, hot-nosed hunter with superb endurance, treeing ability, and the desire to perform. It has a clear, ringing bugle voice or a steady clear chop with changeover at the tree. 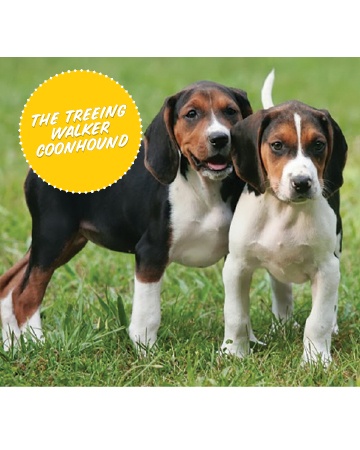 Today’s Treeing Walker retains the same colour and similar conformation to the Walker Foxhound. The breed is intelligent, confident, and sociable.